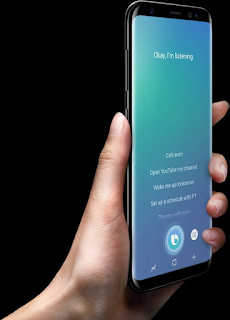 Samsung Bixby Guide - Samsung Bixby understands talk, text, and taps, you're able to use the way that's most convenient at the time. You can also switch between modes whenever you need to. 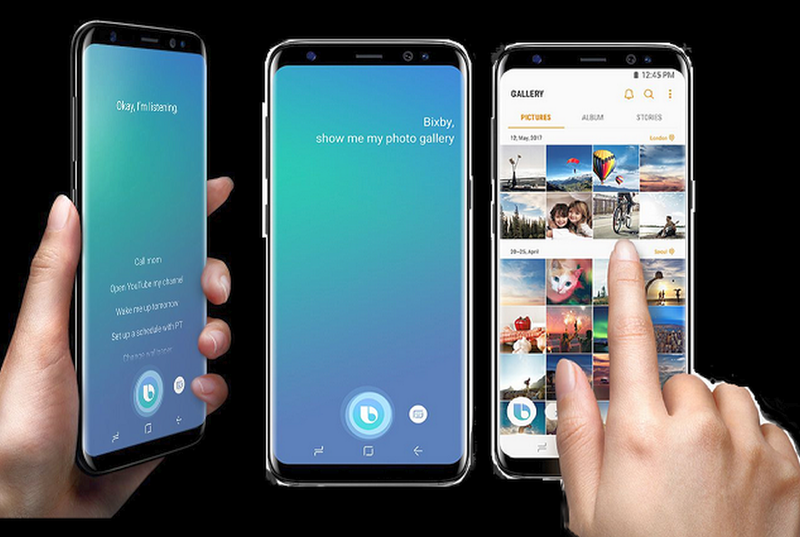 Bixby makes your phone helpful, assisting in completing tasks, telling you what you're looking at, learning your routine and remembering what you need to do. Here our guide with tutorial how to use Samsung Bixby on new Galaxy S8 and S8+. This is Bixby guide completely new way to use your Galaxy S8 or S8+. At launch, Bixby voice controls will be integrated into some of your favorite native apps, and will understand instructions in US English, US Spanish, Korean, and Chinese. Samsung S8 Bixby will forever change the way you search, only have to open your camera or use an image to get results right away. Whether you'd like to know more about a product or place, want to find a restaurant nearby, or even need to translate a document just call up Bixby. No more typing into boxes. Get Bixby to remind you to water the plants when you get home or to call someone back when you get back to the office. You can also have the reminders show on the AOD screen, Bixby Home, or the edge screen. Simple way to search Shopping by an image on Galaxy S8/S8 Plus. Press the Bixby button to go to Bixby Home, or press and hold it to interact with Bixby using Image. Open the camera to find where to buy one. Bixby showing online shopping search results. Find similar images online of that adorable cat you took a photo of the other day. Bixby showing similar image search results. Focus the camera on a landmark to get handy information on the place and on where to go for dinner. Aim the camera at the words on a document and get it translated on the spot. Press to go straight to Bixby Home, press and hold to talk to Bixby. Customized information as well as direct access to the apps you need at that time, place, and occasion. The more you use your phone, the better results you get. Swipe right to check the day's schedule to start off your day right. All your reminders are just a swipe away, so you don't forget anything important. Check the number of steps you've taken and what your friends have been up to online. 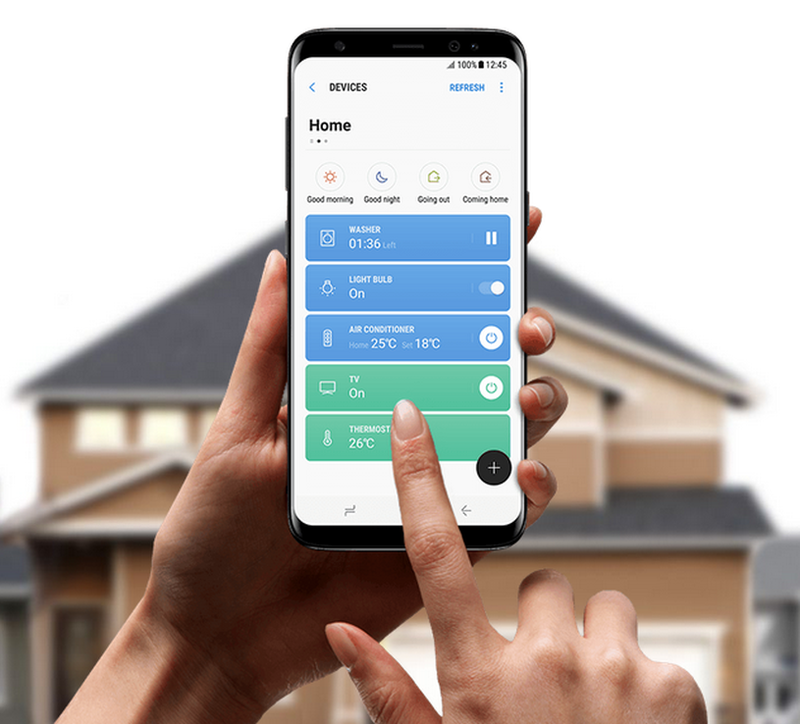 Hand tapping Samsung Connect app on screen of Galaxy S8 making technology accessible to everyone, Samsung has developed and applied a variety of technical solutions. 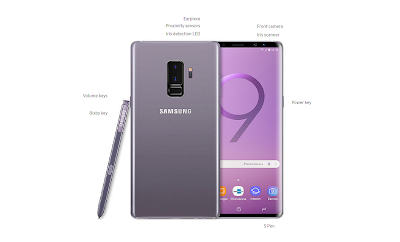 With solutions for vision, hearing, dexterity and interaction, people with disabilities can easily use technology and take advantage of new Galaxy S8 and exciting features.